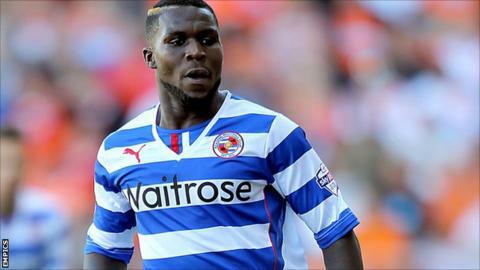 Reading midfielder Royston Drenthe says the Championship is the "craziest" league he has played in. Drenthe, 26, helped his side to victory at Charlton on Saturday to strengthen their place in the play-off zone as they now hold a five-point advantage. The Dutchman has played in his homeland as well as Spain and Russia. "I'm always talking about it with my team-mates, it is the craziest league I've ever been in," Drenthe told BBC Berkshire. "Every game is so tough." Sixth-placed Reading are five points above Nottingham Forest, Brighton, Bournemouth and Ipswich as they look to cling on to their position. "You never know what is going to happen," the former Real Madrid and Everton winger said. "In some leagues you know a team will win a particular game, but here even if one team has a better squad, you look after the game and you see a crazy score. "It's a league with so many tough games and so many good quality players, people from outside can't imagine what it is like. But I've now been in it for almost a year and I enjoy it very much, it's a nice experience." Reading travel to Bournemouth on Tuesday - who are on a run of four consecutive victories - and the winger is wary of the challenge awaiting them at Dean Court. "It won't be easy, they just won at QPR and that's a really good result for them," he said. "We come to their place so it will be a really difficult game, they are just five points behind us and will give 150%."